Midwives Alliance encourages all midwives, and especially our members, to attend the 31st Triennial Congress of the International Confederation of Midwives, June 17 - 22 in Toronto, Canada. Make plans now to join your sister midwives here in North America, at what is sure to be the event of the year, hosted by our dear friends in Canada! We've created a Facebook event to keep you up-to-date. Visit often for Congress updates, and feel free to post and share with friends. 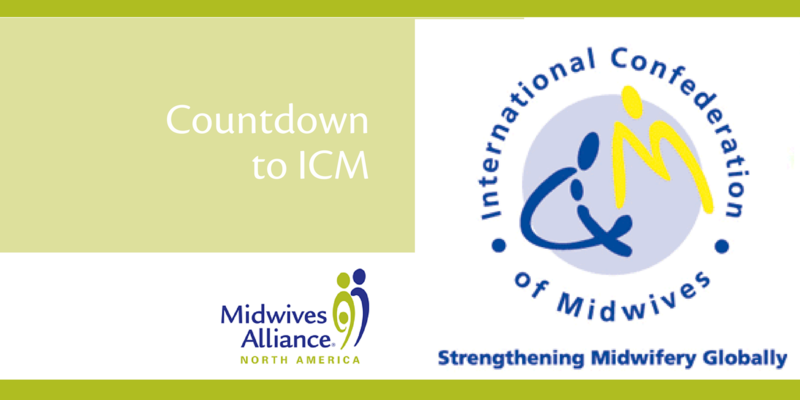 From ICM: The highly topical and relevant theme for the 2017 Congress is "Midwives - Making a Difference in the World". We have reached a time when attention turns to ‘what next’ after the 2015 Millennium Development Goals. As new global initiatives are being developed, one strong message emerges from the 2011 and the 2014 State of World Midwifery Reports and that is ‘midwives do make a difference’ in saving the lives of women and newborns and promoting good health.